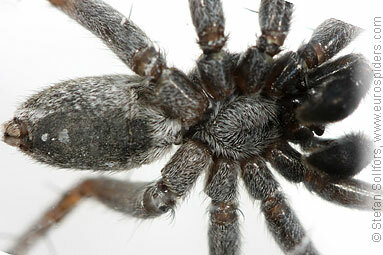 Female Pardosa agricola from above. 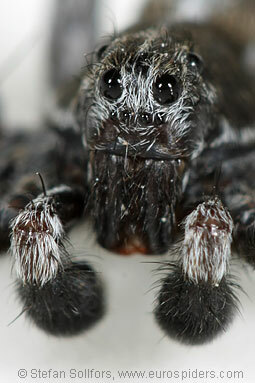 Head-on view of a female Pardosa agricola. 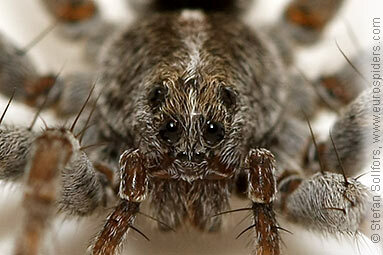 Close-up of the eyes from above of a female Pardosa agricola. 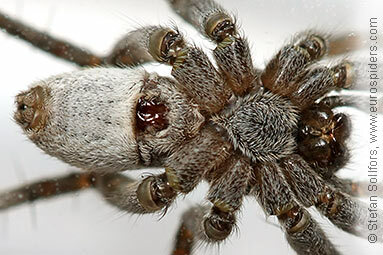 Close-up of the eyes of a female Pardosa agricola, head-on view. 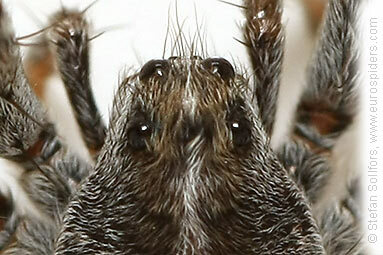 Close-up of the head of a male Pardosa agricola. 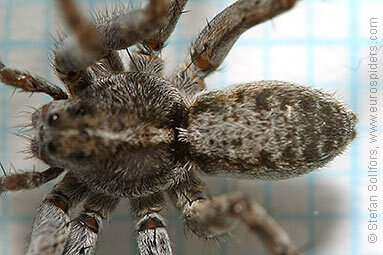 Close-up of the front leg of a male Pardosa agricola. 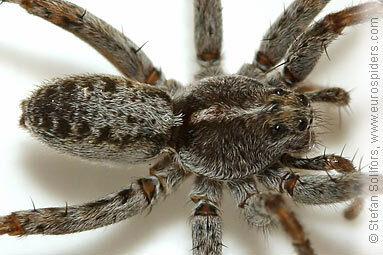 Female Pardosa agricola from below. 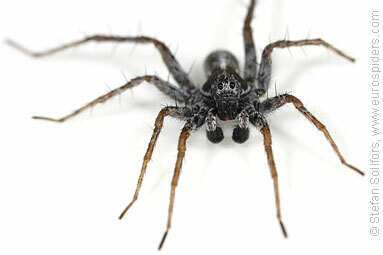 Male Pardosa agricola from below. 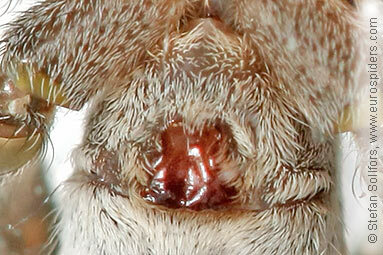 Same photo as above, close-up of epigyne (with a lot of extra brightness added to the dark parts). 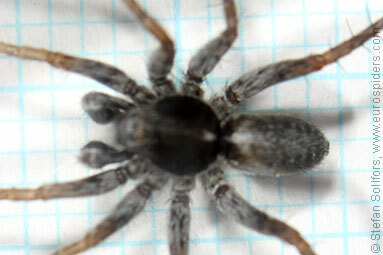 Female Pardosa agricola, slightly above 7 mm. 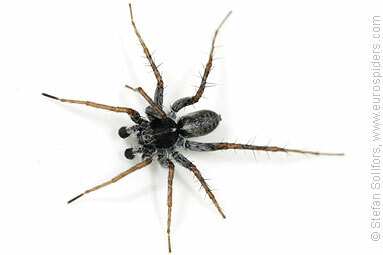 Male Pardosa agricola, around 6,5 mm, excluding the palps. 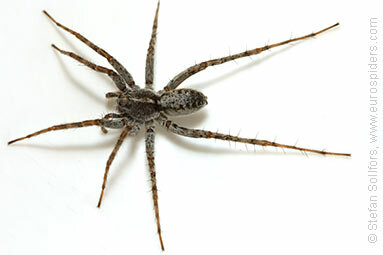 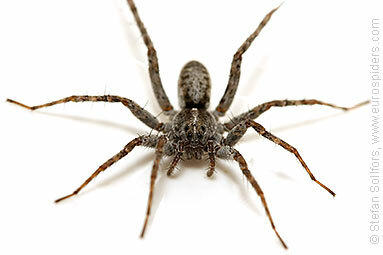 The wolf spider Pardosa agricola.